Natural Chondroitin found in ActivEase® Green Lipped Mussel helps to maintain healthy cartilage and joints for longer. Manganese supports collagen formation in the cartilage, tendons and ligaments. 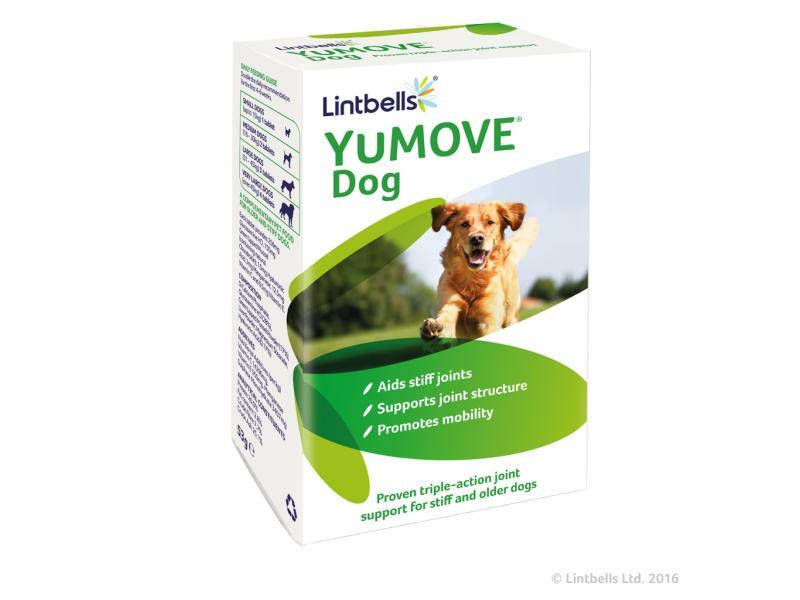 Below are some recent questions we've received regarding YuMOVE Joint Supplement for Dogs, including answers from our team. Could you please tell me what is in these tablets? Thank you. I am about to start my cavalier on yumove ,she will have two tablets a day for six weeks . Should these two be given together or morning and evening ? You can spread them out over morning and evening meals. Can you be used instead of Loxicom? Or along with Loxicom? Yumove is not a replacement for Loxicom but many dogs take both together. 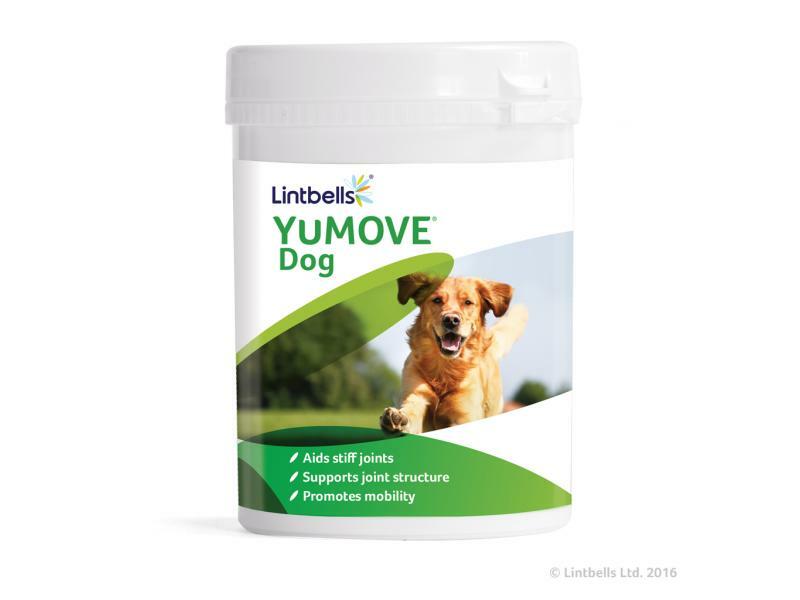 Whilst Yumove will not provide the pain relief that Loxicom does it can help improve mobility and stiff joints. In some dogs this effect is good enough that the dose of Loxicom can be reduced though usually not enough to stop the Loxicom all together. As a general rule, Yumove is fine to use alongside other medications as it is a natural supplement, however we would always recommend to seek advise from your veterinary surgeon when adding a supplement to your pet's diet if they have a pre-existing condition. My 14 year old labrador is currently on Previcox from my vets but the expensive is killing me. 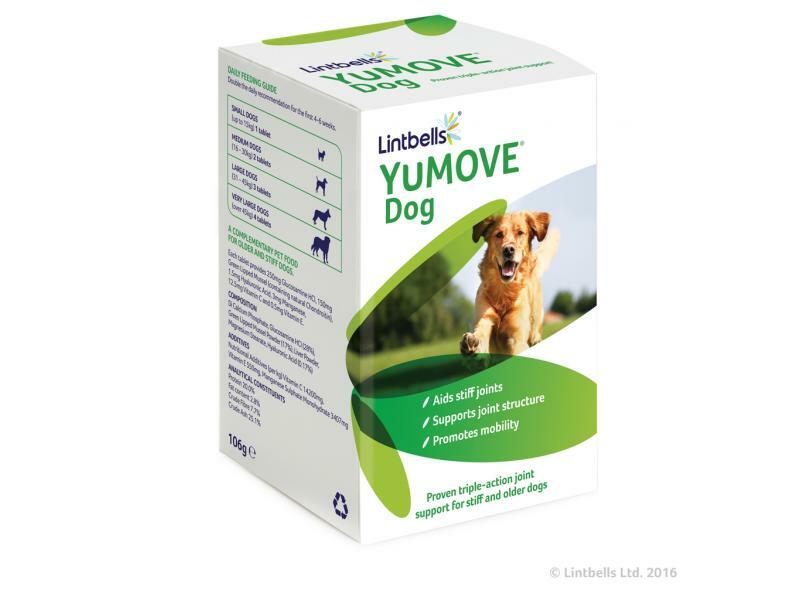 I am looking to change his tablets and try the Yumove Joint Supplement for Dogs. Would you advise this switch? Yumove could be a helpful addition alongside Previcox though it is certainly not a replacement. Whilst joint supplements have their place they will not offer the same pain relief as prescription medications such as Previcox. My advise would be to continue with the Previcox. However you may find that by adding in Yumove too then your dog may be comfortable on a lower dose of Previcox. Hi are these suitable for puppy’s? I have a 15 week old German Shepherd. Just wanted a supplement for my puppy to aid for his growth. This supplement can be given to puppies and will not do any harm though it is intended more for joint aches and pains in older dogs. Some owners give joint supplements to young dogs to try to delay the onset of arthritis in later life but it will not aid growth in a puppy. Yourmove is it safe to give my 14 year old . My 14 year old is on glucosamine for stiff joints when rising they seem to be slower working now he’s been on them 2 years.we have now been told he has an enlarged heart so is Yourmove safe to give him.thanks. You could speak to your vet about trying Yumove Advanced (available from vets only) which is higher strength than Yumove original that he is on currently. It shouldn't cause a problem for his heart and is fine to give alongside any other medication he may be on. You should check with your own vet before adding anything to your dogs diet but many diabetic dogs take joint supplements without any issues. The daily dose makes up such as small quantity of the overall daily food intake that it shouldn't cause a problem. Hi, are these tablets flavoured and therefore easy to administrate? My labrador is a specialist of sorting out tablets from his food and leaving them aside! Yes, these tablets are very palatable and most dogs tend to readily accept them as treats. How many tablets daily are recommended?